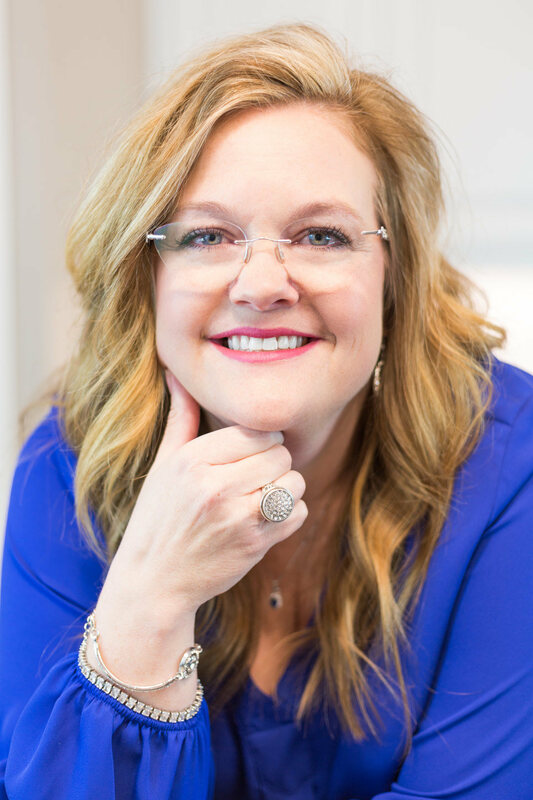 As a native of Owasso, Michele has enjoyed most of her life in the Tulsa area, with exception of graduate school and a missionary venture to the Philippines. She remembers the day when Owasso didn't even have a McDonald's. Now her home town has grown to have 3 McDonald's (plus every other eating establishment), multiple schools, shopping, and amazing real estate! She also remembers spending time with her family going to Open Houses after church on Sunday afternoons, which helped develop her love for real estate. Michele spent several years as a professional counselor, enjoying guiding others to better their lives, but her greatest accomplishment is being a wife to Doug and a mother to Gabe and Sadie. At one point in her life, Michele had moved 6 times in a period of 5 years. She came to closely understand the challenges of buying and selling homes (not to mention, MOVING!). She now enjoys being able to combine her love for helping people and families with her love for real estate by helping families find their dream home! Bought a Single Family home in 2019 for approximately $100K in San Souci, Tulsa, OK.
Michele was incredibly helpful throughout the entire home buying process. From setting appointments to view properties to the closing table, I was always able to rely on Michele to answer my question and respond in a timely manner. Sold a Single Family home in 2019 for approximately $150K in Owasso, OK. This was our first home selling experience and Michelle did a wonderful job at communicating what to expect, what special touches needed to be made, and gave us great pointers to make our home desirable. Our home sold in just 2 days on the market! During the selling process, she kept us constantly informed and updated on all transactions, as well as answering any questions promptly. We are very pleased with our experience with Michelle! Bought a Condo home in 2018 in Downtown, Tulsa, OK.
We first connected with Michele online through Zillow while browsing through properties in Tulsa – After introducing herself and sharing a bit about herself and her professional experience, she started the process of trying to understand what exactly we were looking for, the requirements and preferences we had in mind. Even before we got to meet her in person, she prepared a portfolio of different properties based entirely on the information we gave her and walked us through the details of the home buying process. Her willingness to invest time in listening to us and connect with our needs was a very positive first impression, which made it easier for us to decide to engage and work with her on our house hunt. Meeting Michele and working with her over the course of almost 3 weeks was a pleasant and wonderful experience – her aptitude and knowledge of her industry was vast and comprehensive. At every step of the way – she made sure that our interests were protected and patiently guided us through the pros and cons of every property we visited. Her input and knowledge was very valuable at every stage of the process. We felt completely confident and secure in the fact that we were being professionally guided and advised by someone whose work and efforts were sound and diligent and always went beyond her scope of works or our expectations. At every stage she would explain the process and provide us with all the necessary information we would require in order to take any informed decision. Needless to say we couldn’t have been able to make the call on the property we acquired without her valuable guidance and support. Even after we acquired our title deed, Michele still makes herself available – to help us with queries. Her follow-ups and commitment to anything asked of her is a quality we don’t see very often. To those looking to buy property in Tulsa - look no further…... For your experience would only confirm what we’ve shared above. It was a complete privilege to be able to assist you in finding the right property! I feel very undeserving of such an amazing review, especially since I find such joy doing what I do! Thank you so much! Showed home in 2018 in Broken Arrow, OK.
Michele was a blessing from the start. We recently moved from California to Oklahoma and she made the process so much easier than I thought could even happen. She worked with our schedule and made us feel more comfortable with the whole process. This was our first time buying a home so we were definitely newbies. I recommend Michele 10/10! Thanks so much for this wonderful review! You were a pleasure to work for! Welcome Home to OKLAHOMA!!! Bought a Single Family home in 2018 for approximately $125K in Sapulpa, OK.
We loved working with Michele! She was very informative and helped us maneuver through the stressful process. She was always smiling and positive even when things didn't work out the way we hoped. She gave us the encouragement we needed to get thru the process and find a home we loved! It was truly my pleasure to work with your precious family to help you find just the right house to meet your needs! Thank you for using me! Bought a Single Family home in 2018 for approximately $175K in Skiatook, OK.
We loved working with Michelle. She was always quick to respond and help us with any and all questions that we had. We actually searched for a home for over a year and she would check in on us frequently and ask if there was anything we were interested in. She made the process easy, fun and much less stressful. You should choose Michelle! Sold a Single Family home in 2018 for approximately $175K in Owasso, OK.
Michelle works hard to sell your home. She doesn’t let it sit on the market. She had multiple open houses, marketed it on many sites and social media. I was extremely impressed with her communication and how quickly she responded to any concern or request. She knew her stuff with the market and was tough during negotiations. She was dedicated and professional. I would recommend her for any of your real estate needs. Thank you for this review! I love what I do and take great pride in doing it well! Bought a Single Family home in 2018 for approximately $125K in Tower Heights, Tulsa, OK.
Michelle was a delight! She was honest, knowledgeable and quick to respond to our millions of questions. She negotiated and wanted to get the best deal for our family. Bought a Single Family home in 2018 for approximately $225K in Minshall Park, Tulsa, OK.
Michele was extremely diligent and kind while we were finding our house. She was prompt, professional and never gave us a reason to believe our interest wasn’t priority. Have no worries dealing with his realtor. Thanks so much! I enjoyed working with you and your family! Bought a Single Family home in 2018 for approximately $125K in Golf Estates, Tulsa, OK.
Michele went above and beyond for us under difficult circumstances. She was quick to answer questions, make suggestions through the process, and was an aggressive negotiator for us once we decided on the house we wanted. Michele was fantastic. We would gladly go to her again, but I think we'll be happy where we are for a good long while! Yes, this transaction was a challenge, but you and your family are worth it! I'm so glad you are where you are supposed to be! Thank you for your review and for using me!